As an international student, you can apply to study in Boston, United States of America using the 2017/18 Gilbert and Marcia Kotzen Scholarship programme focused on supporting less privileged International students from Africa and other nations. 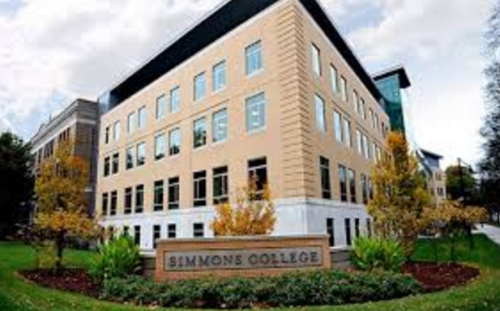 The Marcia Kotzen Scholarship is open to undergraduate students seeking admission into the ­Simmons College in Boston, USA; irrespective of their choice of courses. Application has commenced and is expected to end by December 1. The scholarship is awarded for the duration of a four-year period of full-time undergraduate study and supersedes any previously awarded merit scholarship. An annual award of $3,000 is given for study abroad, short-term courses, summer internship tuition, and research support. How to Apply: Applicants must complete and submit both their scholarship application and their admission application to the College by December 1. The scholarship application consists of two parts: a short answer and a formal essay. Students must upload these documents or submit them via email to ugadm-at-simmons.edu with the subject line “Kotzen Application” by December 1. On each page of the document, students should include their full name and date of birth. Apply now by visiting their website. Now that all the information about $30,000 American Scholarships at Boston has been delivered nicely; interested and talented students who are eager to pursue their Free Tuition/Scholarships/Study in Boston USA for Undergraduate, Bachelors, Postgraduate, Masters, PhD, Associate Degree and Other Degrees, can apply now.